Small Trampolines for Toddlers are intended to make kid’s playtime exciting and adventurous. Further, they help children to exercise, stay healthy, and have fun. Nonetheless, the market today is crowded with many trampolines intended to fit different needs and tastes. However, when choosing a Trampoline for your child, you need to be extra cautious about its features. Children are delicate, and their safety should always come first. But, as much as you are focusing on your child’s safety, ensure that you balance so that you don’t interfere with their fun, adventure, and excitement. You should instead assist them to build great childhood memories while minding their health concerns. If you are considering buying a trampoline for your kid, go through this guide, and we assure you that you’ll get one that is just ideal for you. In this article, we’ll review and compare some of the best Small Trampoline for Toddlers, with our primary focus being on kid’s safety. Check This: Outdoor Playsets for Toddlers. Are you looking for a trampoline that has both a handrail and a safety pad? Look no further; this blue Bazoongi 48-Inch Bouncer is an ideal choice for you. This fun trampoline is fitted with galvanized springs that will give your kids an excellent bouncing experience leaving them happy and content with their playtime. Further, the trampoline has a safe handlebar that offers needed protection and support for kids while playing. Kids get to hold the handlebar while playing reducing the chances of them falling and injuring themselves. The 48-Inch bouncing space provides enough space for kids to enjoy and have endless fun while bouncing their heart out! Also, the 6 legged galvanized steel frame design of the trampoline gives it lifelong stability. You can have peace of mind knowing that your kids are playing on a stable structure. This blue trampoline is ideal for kids with a weight capacity of 100bls. Also, you can quickly adjust the handlebar to different heights. Meaning, the structure can accommodate kids of different heights adequately. If you are considering buying a trampoline for your toddler, this should be an excellent starter for them. This model provides a big space for bouncing while occupying a small area making it ideal for any household. If you love to join your kids while in their outdoor play, then you should get this fun and incredible Parent-Child Trampoline. This trampoline has adjustable handles that encourage both the parent and the child to engage in fun playtime. With this trampoline, you get that unique opportunity of sharing playtime with your kid. The bounce-back surface of this trampoline has been designed in such a way that it offers maximum stability as well as excellent exercise options. This Parent-Child Trampoline has become a favorite of many because of its ease of assembly as well its ability to be folded up easily. When folding up, parents are advised first to disassemble the handle and the legs. Similarly, before unfolding trampoline confirm that the springs are correctly joined to the frame. This fun trampoline can accommodate a weight capacity of 180 lbs. and its overall size is 56 x 36 x 54. Let your children enjoy bouncing with this mind-blowing Upper Bounce Trampoline that comes with an enclosure set. This trampoline will become your kid’s favorite as it will provide them endless bouncing fun at the convenience of their compound. It comes fitted with unique safety features to give everyone using it peace of mind. The trampoline features a premium safety enclosure net and a safe spring cover pad that helps anyone playing to remain safe during their playtime. Further, Upper Bounce Trampoline comes fitted with sleeve covers that protect all surrounding posts covered with foam. This way the foam remains intact for long, maintaining its attractiveness. All materials used in the manufacture of this trampoline are of high quality and meet all safety standards. The safety enclosure net, the jumping mat, the foam sleeves, and the safety pad are all water and UV resistant. This model is easy to assemble as it comes with all the required hardware for easier installation. Also, it comes in a variety of sizes, so you get to choose the ideal size for your family, giving you lifelong investment and value for your money. Bring your kids bouncing fun with this fantastic Fold & Go Trampoline from the original toy company. The manufacturers of this trampoline have invested years in bringing you this unique and fun trampoline. It is effortless to fold, and as a result has become parents favorite, since they don’t waste time folding it up. This model is also unique because of its circular safety pad that clips easily giving kids’ confidence while playing. The parent is assured that the product the kid is playing on is extra safe, allowing them to relax. Bring out your kid’s creative and adventurous self with this fun 60 In. Round Seaside Adventure Bouncer from Skywalker Trampolines. If you are seeking a fun but healthy way for your children to burn extra energy, then this trampoline is your best bet! Your kids will have the time of their lives jumping and bouncing happily on the jumping surface that is designed without springs, meaning little figures are protected from pinching. The 360-degree handle surrounding this fun trampoline gives your kids additional support. 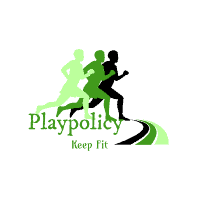 Hence, Helping them to enhance their coordination as well as build their muscles in a healthy and safe environment. The trampoline is fitted with attractive animal pictures together with safely padded handlebar to keep your kids entertained as they jump from one animal to the other as they invent exciting games to keep them entertained for hours. To make this trampoline even more exciting, it can accommodate two kids at a time with a weight capacity of 100 lbs. Before buying Trampoline for Toddlers, please go through the following guide and see what you are required to look out for so that you make the most of your trampoline purchase. When choosing a trampoline for your kids, their age and size should be the most crucial aspect. Buy one that is suitable for their age. The market for Kids trampolines has several options designed for toddlers. Normally, trampolines that are smaller are recommended for kids aged 3 years and above, but some come with an age limit of 3-7 years. Other larger outdoor trampoline models come with higher age ranges like 6 years and above; those are not appropriate for toddlers. It is advisable that you buy a trampoline that will grow with the kids, one that they will use for more years. Before making your purchase, go through Amazon customer reviews and assess customer’s opinion about the assembling process and ease of installation. Trampolines come in different sizes, and each size has their recommended assembling time. The assembling time might take several hours or a few minutes depending on the size of the trampoline. However, if the installation process is too complicated for you, you are advised to employ a professional to do it for you. Will you once in a while bounce with your kids on the trampoline? Or how many kids will get to play on the trampoline? Ask yourself these questions before making your purchase. This way, you’ll buy a trampoline that is ideal for your weights. Most trampolines have a maximum weight capacity that they can carry. Most toddler trampolines have a smaller surface size, hence, can accommodate one or two kids. Similarly, large models can carry more pounds, meaning both kids and adults can play on it. Always allow a buffer for the weight limit since children grow very fast. Always get a trampoline that is above the weight of your kids. For instance, if your two kids weigh 60lbs each, consider choosing a trampoline with a weight capacity of at least 180lbs, instead of 120lbs. You should buy a product that is built to last and stable enough for you and your kids. For example, look at the legs of the trampoline, are they strong enough? Can they help to keep the structure in place? If you are buying a larger trampoline, then W-shaped legs will be an excellent choice for you, such legs give the trampoline the much-needed stability. You can also check those models that are secured with t-sockets. T-sockets are known to increase the sturdiness of a trampoline. So, consider checking out those that are fitted with such joints. Another aspect you may want to focus on is the durability of the trampoline. Always ensure you go for features that will prolong the life of your trampoline. For instance, buy one that contains a UV-resistant cover or one with a galvanized or coated steel frame. Structures made of steel are ideal. They are usually firm and sturdy and can withstand any weather conditions without getting affected by either rust or fading. How much space can you spare in your backyard or apartment? Take measurements of the available space and compare it to what manufacturers have given in their installation guide. After taking your measurements, reduce them by a few feet say if your backyard or apartment space measures 20 by 20 feet, you can cut that to maybe 14 by 16 and buy a trampoline with those measuremnts. This way, your kids will have extra space to climb up or down. You can also consider buying a trampoline that can be folded. Many mini kid trampolines can be folded up. You can consider purchasing the foldable one if you have limited space. You can fold and store them away once kids are through with playing to create more space. This guide and review has made it easier for you to get that ideal small trampoline for your toddlers. Any of the reviewed trampolines will make a perfect choice as we’ve only covered what we believe will give you and your kids satisfaction and value for your money. Safety has been our primary focus while doing this review, so we only concentrated on those trampolines that we believe offer security at the same time allow kids to explore and have fun. It’s no longer a challenge for you to pick the best trampoline for your kids, you are now equipped with vital information to help make that important investment.